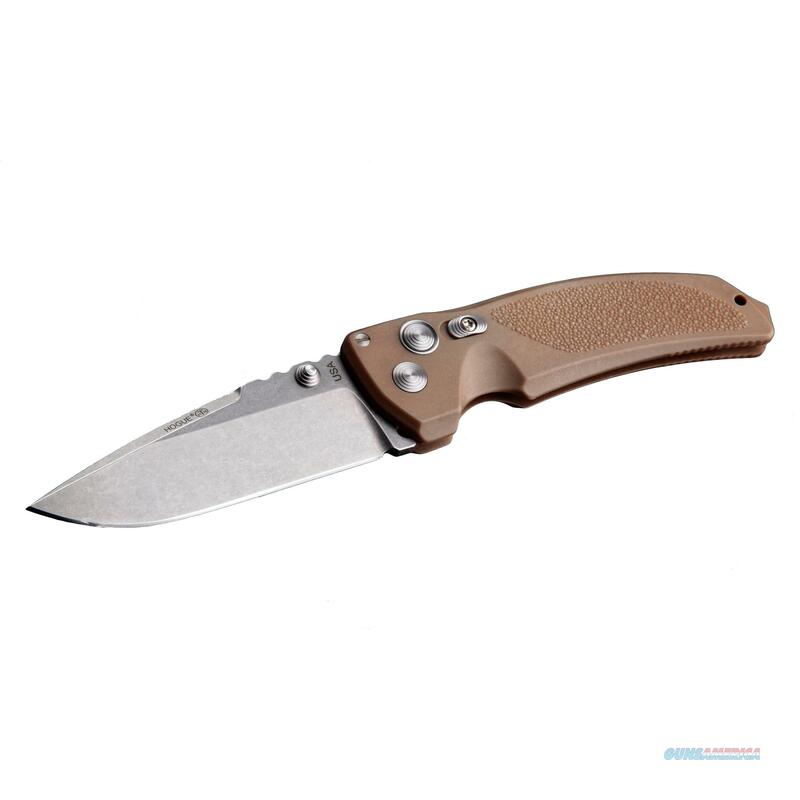 Description: Hogue Knives EX03 Knife Drop Point Matte Brown (3.5" Tumble Plain) This is the 3.5" drop point version of the EX03. Folding knife. The Extreme series is designed by Allen Elishewitz. The knives look good, they are comfortable and the function & action is beyond reproach. Features one-piece matte brown frame which is made from high glass content reinforced polymer. 154-CM stonewashed blade. Push button lock mechanism. The blade comes out with a refined smoothness and locks securely into place. For easy carry there is also reversible pocket clip. Specifications:- Overall: 8.125"- Blade: 3.5"- Closed: 4.75"- Weight: 4.128 oz.